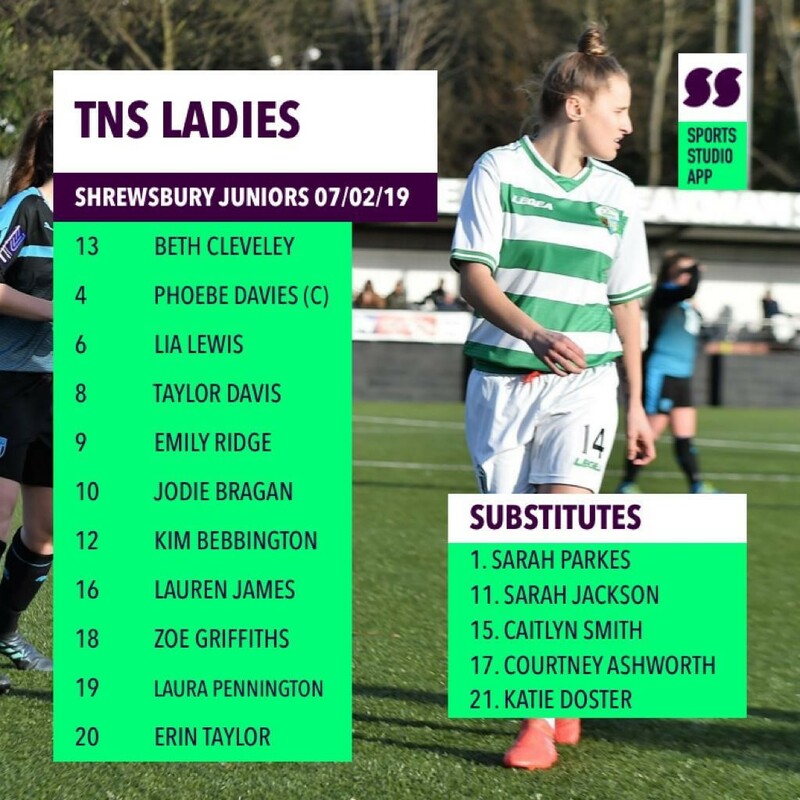 TNS Ladies FC advanced to the next round of the Tom Farmer Shropshire Cup, thanks to a comfortable 5-0 win over Shrewsbury Juniors. 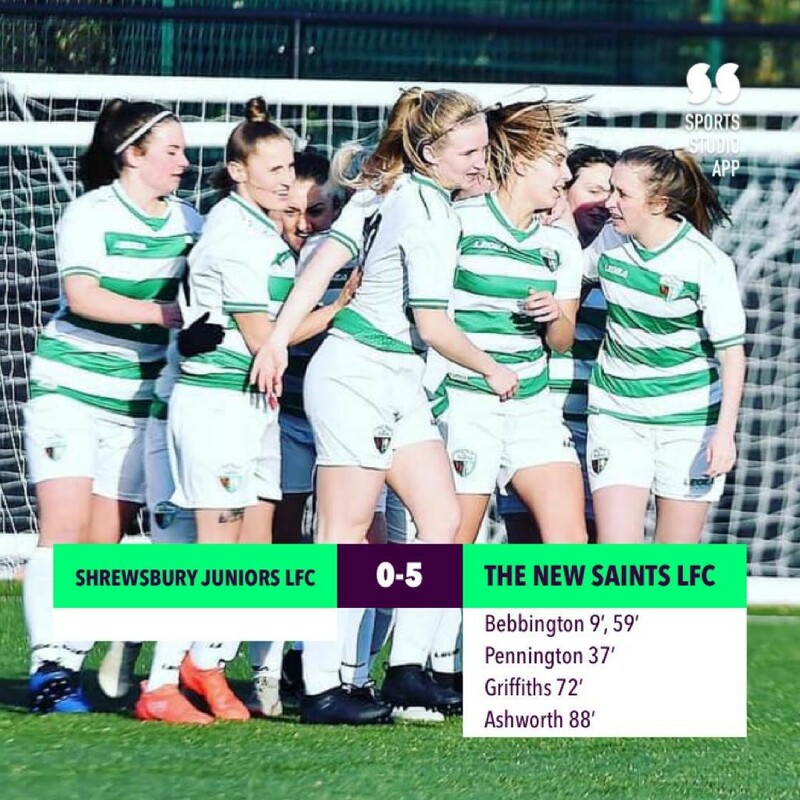 The New Saints started the game with a few changes from the side that lost in the league to West Bromwich Albion Women last Sunday. TNS’ record goal scorer, Emily Ridge, returned to the starting line-up and went close, firing a snapshot over the bar in the early stages. Left winger, Kim Bebbington, opened the scoring in the 9th minute, as a cross from the right by Zoe Griffiths was turned home into the bottom left, off the post. TNS continued to dominate the game, with Ridge, Pennington and Lewis going close with shots from distance. The Saints finally doubled their lead in the 37th minute, as Griffiths again rolled the ball across the box, this time for Pennington to fire home into the bottom right. TNS came out of the changing room with an even more attacking outlook, as Ridge went close again with a snapshot from the edge of the area. It was Bebbington though who bagged the third with a shot from distance, which looped over the stranded Shrewsbury goalkeeper and into the far right corner of the net. TNS rang the changes following Bebbington’s goal, with Katie Doster, Courtney Ashworth and Caitlyn Smith being introduced to the game. Zoe Griffiths bagged the Saints’ fourth goal. A quick move through the middle saw Lewis find Griffiths on the edge of the area and her first-time shot took a deflection on its way into the back of the net. Smith was next to go close, firing a shot just over the bar, which was closely followed by an excellent save from the Shrewsbury goalkeeper to deny Lewis from distance after a cleared corner. Ashworth wrapped up the win as The New Saints made it 5-0. Finding space at the back post, following a cross from Griffiths, her shot was fired into the back of the net, as the 17-year-old celebrated her first competitive goal for the club. As The New Saints Ladies advance into the semi-finals of the cup, details will be announced in due course. Meanwhile, there is a friendly at Park Hall on Sunday (10/02/19) against Wrexham. More details on the Twitter account.